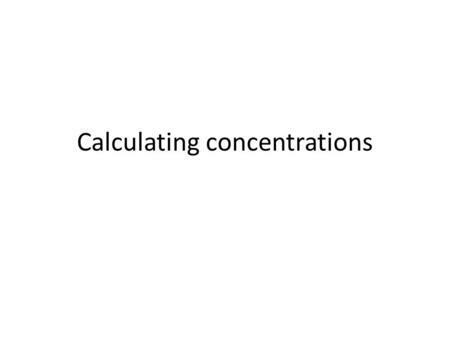 The SI derived unit for amount-of-substance concentration is the mole/cubic meter. 1 mole/cubic meter is equal to 0.001 molar, or 0.001 mole per liter. Note that �... Two hundred liters of a punch that contains 35% fruit juice is mixed with 300 liters (L) of another punch. The resulting fruit punch is 20% fruit juice. Find the percent of fruit juice in the 300 liters of punch. 4/01/2008�� 254 g of copper (II) sulfate, CuSO4, is dissolved in water to make 650 ml of solution. 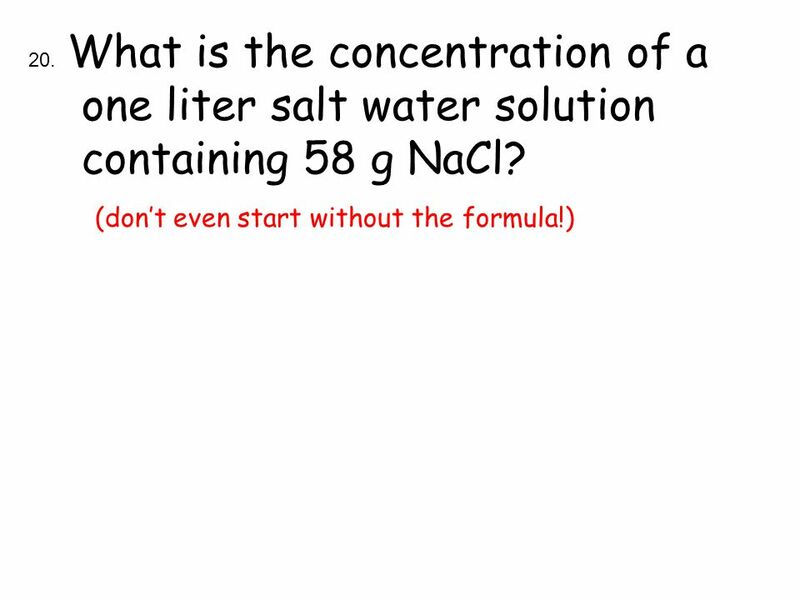 Determine the concentration of the solution, in mol/L. What are the steps to do this problem?